PLEASE NOTE! ALL SEA FANS ARE NATURAL FROM THE OCEAN. (NOT FACTORY MADE). 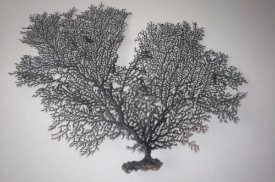 EACH SEA FAN SHAPE WILL VARY FROM THE PICTURES SLIGHTLY DEPENDING ON WHAT IS COLLECTED IN THE PHILIPPINES. THEY MAY HAVE SMALL AMOUNTS OF BRANCHES MISSING. (SMALL HOLES). THEY MAY ALSO BE SLIGHTLY BENDED. 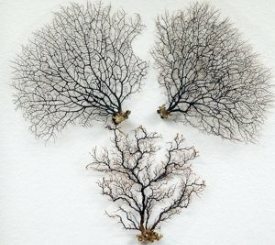 SEA FANS MAY HAVE NATURAL FLAWS. 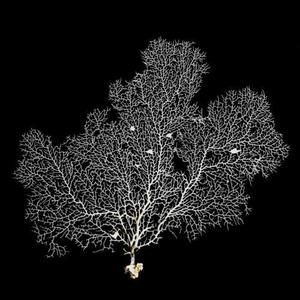 PICTURES MAY BE SHOWING SEVERAL SEA FANS. 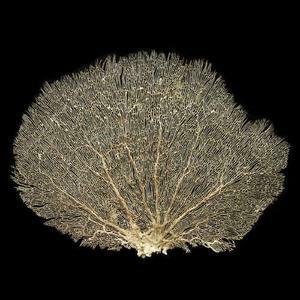 YOU WILL RECEIVE ONLY (1) SEA FAN PER NUMBER ORDERED. (SHOWING DIFFERENT COLORS AND SHAPES). DYED SEA FANS -- THESE ARE NOT DYED UNTIL WE RECEIVE ORDERS FOR THEM. ONCE WE DYE THEM THEY NEED TO DRY OUT FOR TWO (2) DAYS BEFORE WE CAN SHIP THEM. 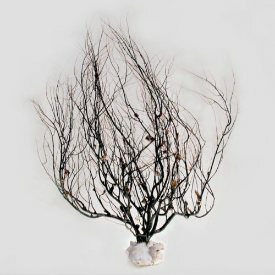 PLEASE ALLOW 1 WEEK OR LESS FOR DELIVERY WHEN DYED SEA FANS ARE ORDERED. THANK YOU! FYI - WE USE THE TERM "DYED" HOWEVER, THE SEA FANS WILL BE SPRAY PAINTED TO THE COLOR SELECTED. 20 TO 25 INCHES TALL...... ALL SHAPES WILL VARY FROM THE PICTURE DEPENDING ON WHAT WAS COLLECTED FROM THE OCEAN........ (GORGONIA SUBEROSA). 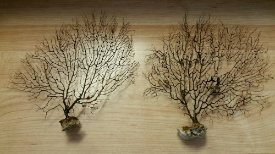 10 TO 13 INCHES...... (SEA FAN IS MOUNTED�ON A PEBBLE SHELL STAND SO IT DISPLAYS STANDING UP). 15 TO 20 INCHES...... 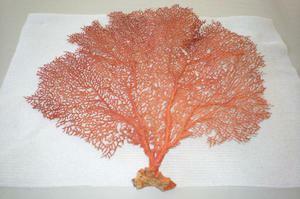 THIS SEA FAN MAY BE USED IN AQUARIUMS, OR FOR CRAFT/DECOR USE...... YOU WILL RECEIVE (1) SEA FAN PER NUMBER ORDERED. 25 TO�30 INCHES...... 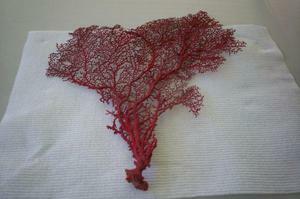 THIS SEA FAN MAY BE USED IN AQUARIUMS, OR FOR CRAFT/DECOR USE...... YOU WILL RECEIVE (1) SEA FAN PER NUMBER ORDERED. (ADDITIONAL OVERSIZED SHIPPING BOX FEE REQUIRED). 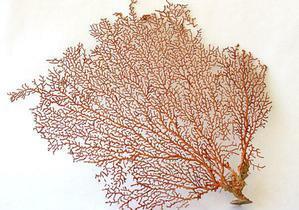 7 TO 10 INCHES..... REDDISH/ORANGE SEA FAN..... (DECOR OR CRAFT USE. NOT FOR AQUARIUMS). NATURAL COLOR. 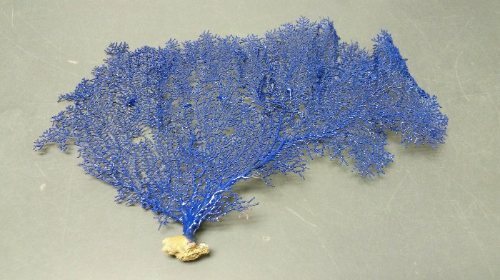 This Sea Fan is NOT Dyed. 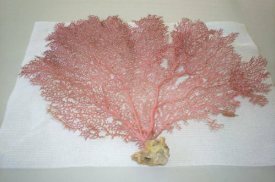 (Pacifigorgia Red Sea Fan from Vietnam). APPROX. 15 TO 17 INCHES. 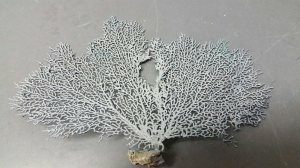 7 TO 10 INCHES..... (ALL DYED SEA FAN SHAPES CAN VARY SLIGHTLY AS WE ARE USING REAL SEA FANS). (WE USE THE TERM DYED. HOWEVER, THE SEA FANS ARE SPRAY PAINTED TO THE COLOR YOU CHOOSE).